They said the best Tenkaippin is the original restaurant; however, the Nijo station branch is great too. 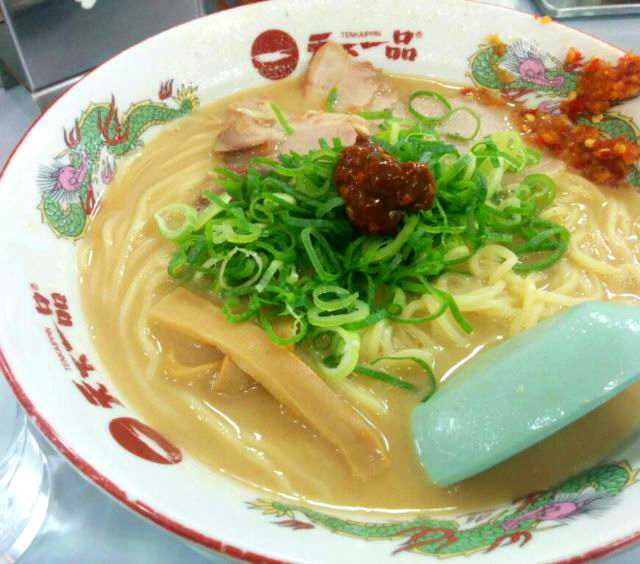 The noodle are firm, soup is thick and they put a lot in the bowl. I really liked their noodle, so I went back there again later. They have a parking lot so it’s easy to come here also.